The federal government weekend warned state governments against misappropriation of the $1.5 million disbursed grant to states as part of the implementation of the Saving One Million Lives (SOML) project. 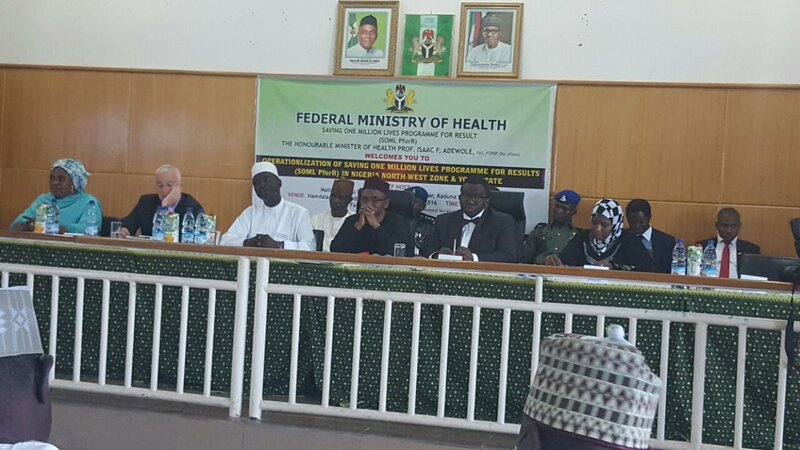 The Minister of Health, Prof. Isaac Adewole, read the riot act to state governments following the disbursement of $1.5 million to each of the 36 states and FCT under the Saving One Million Lives Programme for Results (SOMLP4R) of the ministry. Adewole noted that “government had disbursed a performance based grant of $1.5m each to 36 states and the FCT in the health sector,” warning that, any diversion of the funds will attract severe sanctions from the federal government. Governor Nasir el-Rufai of Kaduna State, on his part commended efforts of the federal government, pledging to rededicate his commitment towards improving healthcare service delivery in the state. The governor emphasised his zeal to scale up the performance for primary health centres as well as other efforts related to the indicators such as encouraging routine immunisation through meetings with local government chairs and traditional rulers. The National Team Lead of the MNCH2, Dr. Salma Anas-Kolo, said that the SOMLP4R aligns with her programme’s mandate to drastically reduce maternal deaths and improve survival rate. She stressed that the country, Nigeria, contributes more than 10 per cent of the global burden and highlighted that about 70 per cent of the burden in Nigeria is brought by the six North-west states. Anas-Kolo called for an integrated approach to deliver MNCH services using Primary Health Centers (PHCs) as the platform and called for increased government funding. She commended the Kaduna state government, revealing that the program has witnessed significant improvement in the state, especially in the area of human resources. “If by 2019, MNCH2 in collaboration with government and relevant partners are able to improve maternal health and strengthen health systems in the North-west region, the overall health indices in Nigeria will improve,” she said. The Chief of Health, Nutrition and Population at the World Bank, Dr. Benjamin Levisohn, explained that the philosophy of the SOML programme was around these cardinal points; robust measurement of results, responsibility of states, competition, relevant performance not absolute and reducing risk. The conference had in attendance key stakeholders in the health sector drawn from across the North-west states and Yobe as well as development institutions and partners including the Permanent Secretary of the Federal Ministry of Health, Hajiya Binta Lami Adamu Bello; Director of Family Health, Dr. Adebimpe Adebiyi; National Programme Coordinator of the SOMLP4R, Dr. Ibrahim Kana, and President of the Society of Gynaecology and Obstetrics of Nigeria, Prof. J.I.Brian Adinma, among others.